We have created an orange robot who will answer your all your emoji queries. Her name? 🤖 Botmoji. 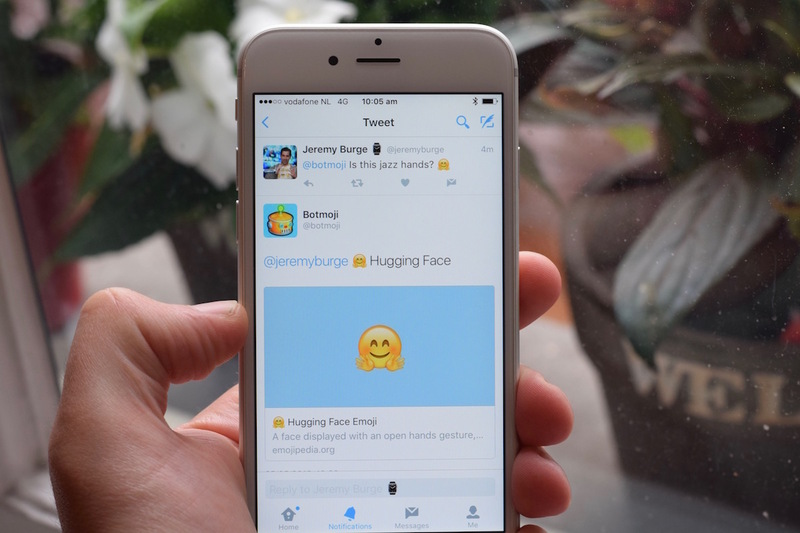 Add @botmoji on Twitter so you're only ever one tweet from finding out what an emoji means. Botmoji can only respond with information for one emoji at a time...for now. We have more features planned, and can't wait to bring them to you! Thanks to Mathew Byrne who developed Botmoji, and the Emojipedia API which keeps her powered up. Her friendly orange robotic appearance was designed by Joshua Jones, who is also the talent behind our emoji images. Orange Heart and Winter Sports for 2017. Dinosaurs? Maybe.